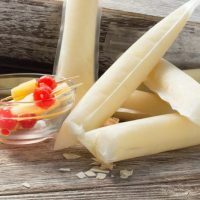 Pina Colada Spiked Ice Pops are a refreshing and frozen tropical adult treat made with pineapple and coconut. Ideal for portion control and sharing at your next get together. Another addition to the slushsicle and spiked ice pop collection. Like all of the others, this one isn’t as solid as a popsicle, but it is more frozen than a frozen drink or slushie. You definitely are not drinking this one with a straw! 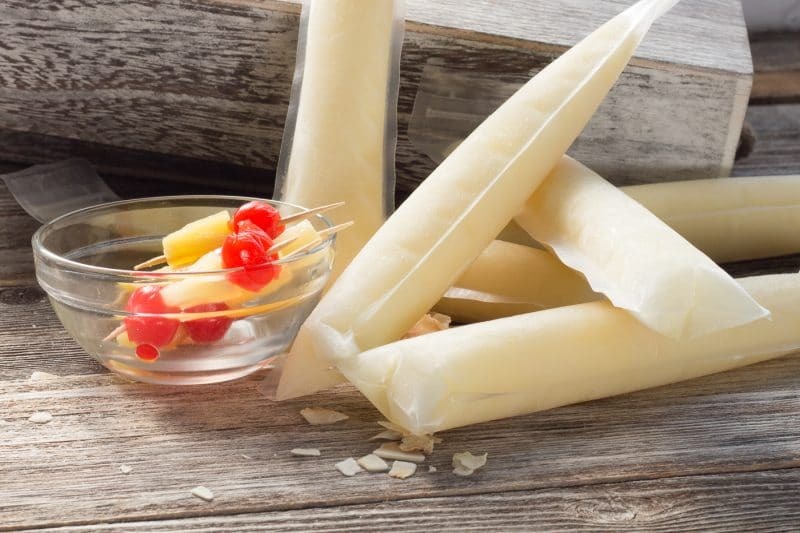 We have a complete tutorial available on How to Make Spiked Slushsicles and Ice Pops here. The main questions we get asked for these recipes is “How do you get the bags sealed?” Easy, we just close the zippered top. We use Zipzicle sleeves. We use a mini funnel, but any vessel with a tapered edge and a steady hand will work. Do you see the steady hand part? Ya, not me. A word of warning, do not lay these on their sides when freezing, they will leak. Use large plastic cups or a bowl with tall sides for freezing. Once frozen, they may be placed on their sides. I store mine in plastic baggies, after freezing, in case someone stands in front of the freezer looking for something and they start to thaw. Every family has at least one of these! I really dislike cleaning sticking stuff out of the freezer. If you plan to transport these to another location, I would recommend you find some dry ice to put in a cooler with these. I would also place paper towels or kitchen towels between the dry ice and the ice pops to prevent them from sticking to the dry ice. Do not handle dry ice with bare hands, it will cause serious damage to your hands and you will find yourself in the emergency department at your local hospital, rather than enjoying the party you were headed to. Every one of these spiked treats has the same amount of alcohol as one mixed drink. Drink Responsibly! Never, ever drink and drive. This also means never, ever eat spiked ice pops and drive. Cook time denotes a freezing time of 24 hours. 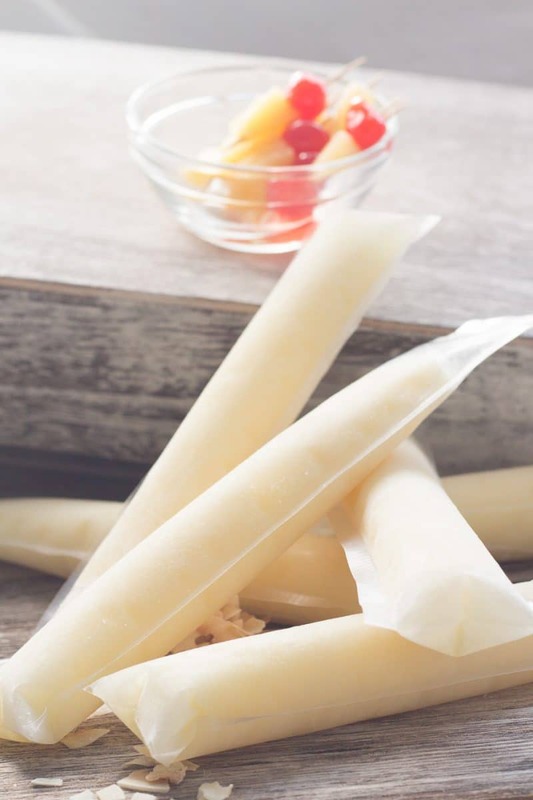 We use Zipzicle ice pop sleeves.